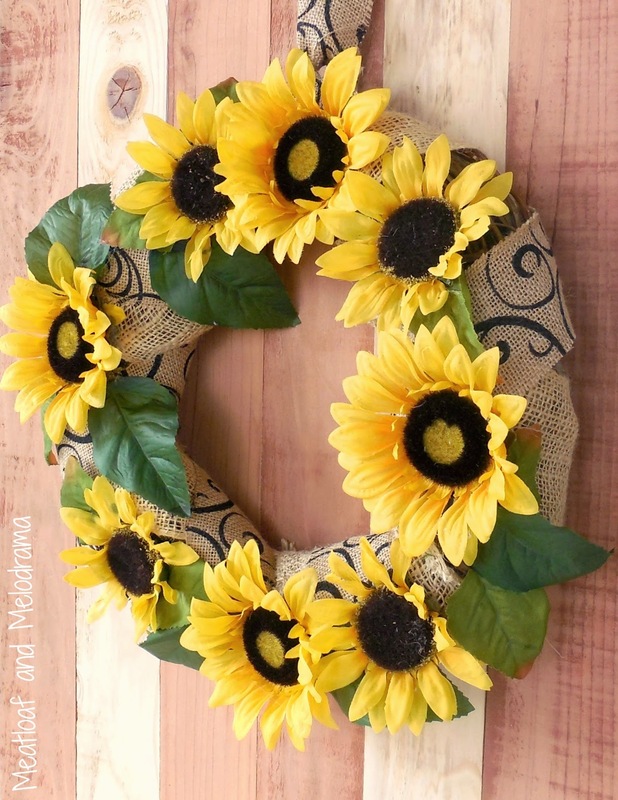 I think I told you this before, but I love sunflowers, especially around this time of year. It’s almost like we’re in between seasons — you know, the kids are heading back to school, and the stores are displaying fall merchandise, but it’s still over 100 degrees here, and I’m not ready to break out the fall decor just yet. But, I needed something to go on the front door because I haven’t had anything there since the Fourth of July, and it was looking really bare. 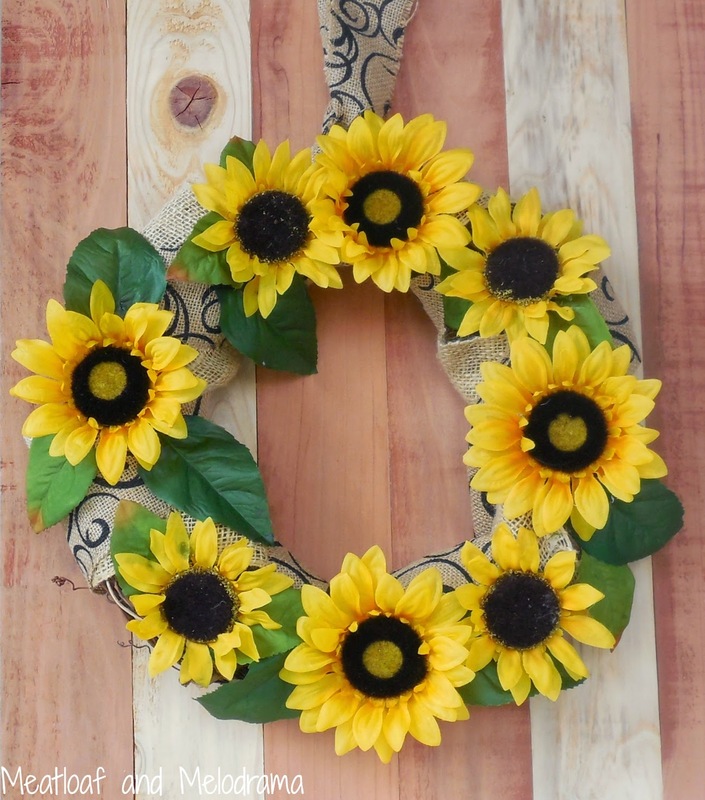 I made a sunflower wreath last year. In fact, it was my second post — great pictures, right?!! Anyway, I dug the wreath out of storage, and it was in pretty sad shape. Bits of grapevine were stuck to the burlap, and some of the flowers were about to fall off. 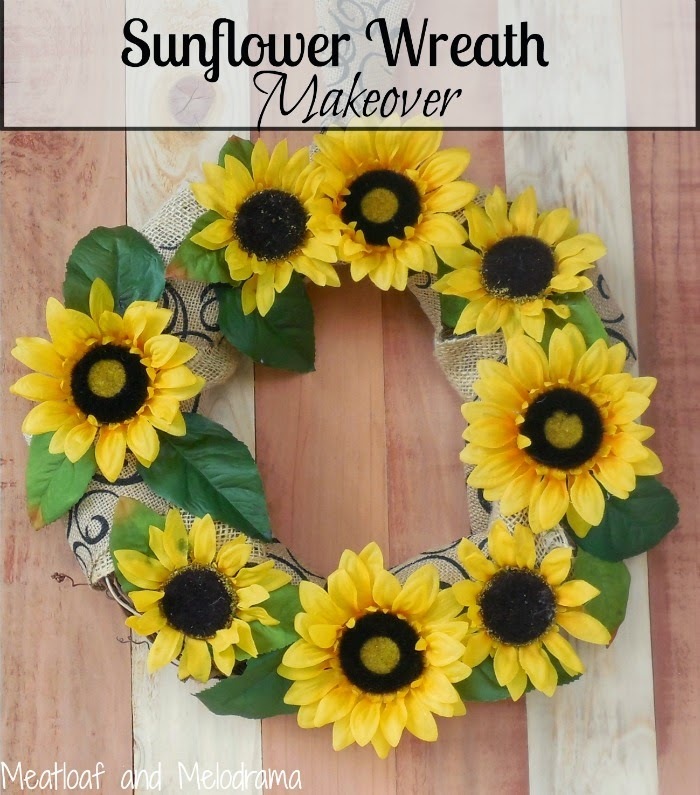 But, I thought that I’d give this sad sunflower wreath a makeover and re-use it again this year. 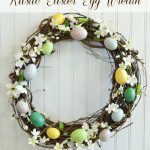 This is how the wreath looked when I found it. I had originally kept it pretty simple, but this time, I wanted to add more flowers and jazz it up a bit more. 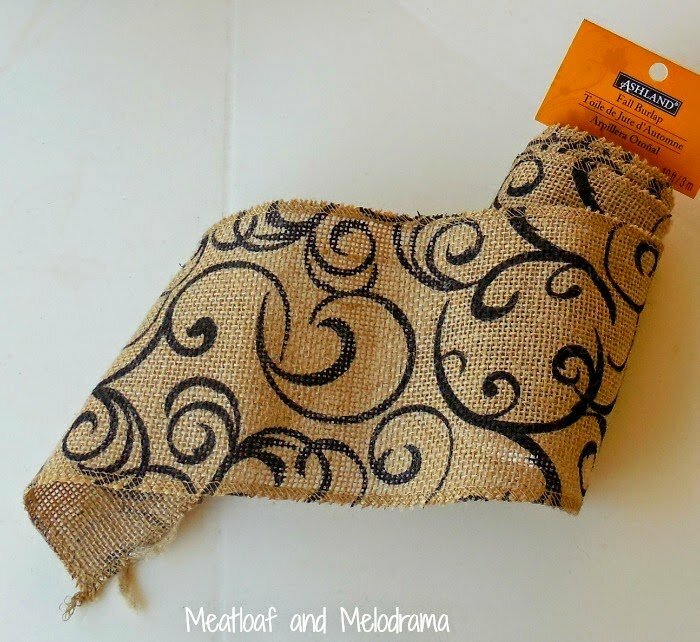 I bought some pretty printed burlap — with a coupon, of course! 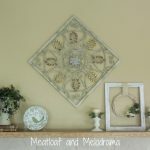 I loved the pattern, and I thought the design would look nice with the yellow sunflowers. 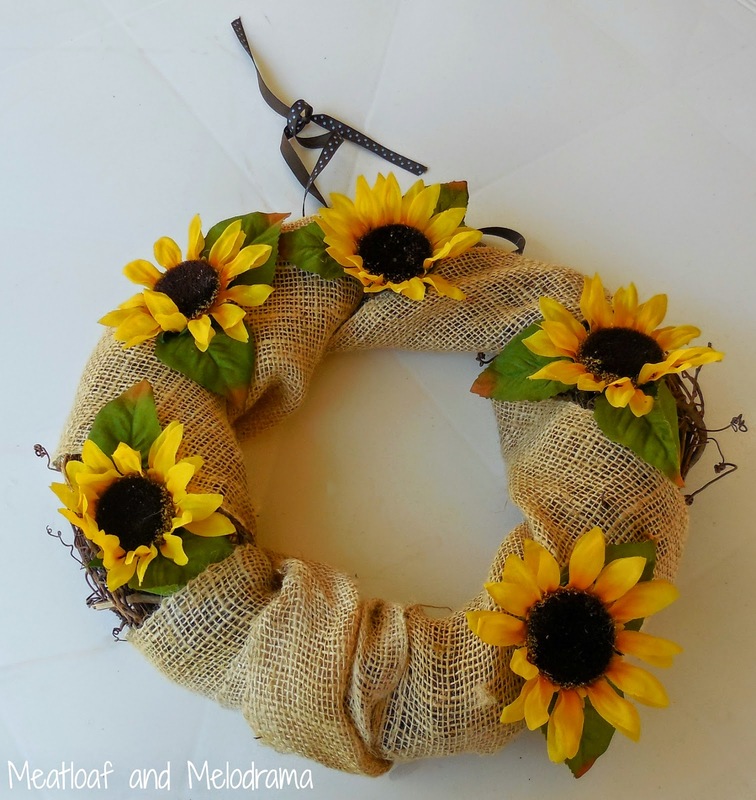 I cut the ribbon in half, wrapped it around the plain burlap and used hot glue to add a few more sunflowers around the wreath. I also added some green leaves to give the wreath a pop of color. I didn’t want to hide the design on the burlap completely, so I tried to leave some space between the flowers. Finally, I used a long strip of the same burlap ribbon as a hanger. 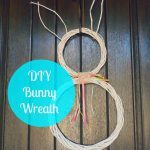 Not a bad wreath for under five dollars! 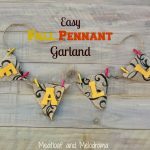 Since I already had the other materials, the only thing I bought was the burlap. So, when I finished making the wreath, it was raining, which is great, but not so good for taking pictures of the front door. Oh well, I managed to snap a few pictures anyway! Are you thinking about fall yet? Thanks so much for stopping by — Have a wonderful day!